Individuals that regularly use either prescription or illicit opioids almost always end up suffering from induced constipation (OIC). There are many treatments for this including over-the-counter laxatives. For individuals that abuse opioids, OIC is almost a guarantee. Getting professional treatment for an addiction to opioids is the first step to achieve long-term recovery. Additionally, if an individual seeks out a assisted treatment program, such as Suboxone, they may experience continued OIC. Opioid use disorders have become increasingly prevalent in recent years. An opioid use disorder is generally defined as a physical or psychological dependence on opioids pain relievers and other opioid-containing medications. Addiction to opioids, such as Oxycontin or Vicodin, can occur quickly and have dangerous effects on the body. Opioids depress the central nervous system, which can slow breathing and heart rate. The drug can also cause impairment such as slurred speech or inability to make sound decisions. A lesser known side effect of frequent opioid use is opioid-induced constipation. It it not uncommon for opioid-containing medications to cause changes to the digestive system that can cause severe or chronic constipation. Opioids are a class of controlled substances that includes several different types of drugs. Prescription pain relievers such as hydrocodone, codeine and morphine are opioids, along with synthetically derived forms of the drug such as fentanyl. Opioids also include street drugs such as heroin, as well as naturally derived forms opium from the poppy plant. Prescription pain relievers have been in the news frequently over the past several years. Commonly mentioned in the context of ‘the opioid epidemic’, addiction to opioids through the use of prescription pain relievers has risen steadily over the past decade. How Do Opioids Affect The Digestive System? It is not unusual to think of dehydration as a main cause of constipation, and for many individuals this many be a common cause. Certain medications, such as opioid pain relievers, can also cause constipation. However, overcoming opioid-induced constipation may not be as simple as drinking a few more glasses of water each day. Opioids affect the entire body, including the digestive and central nervous systems. Opioids can suppress the central nervous system, affecting the way it interacts with the rest of the body. When the digestive system is passing stool, the intestines will naturally squeeze and release to move stool through the system. When stool is ready to be passed, signals are sent to nerve endings in the intestines to signal the beginning of this process. 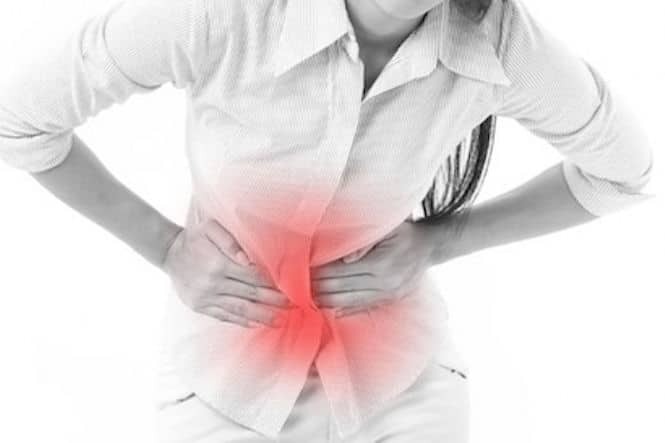 Opioids can interrupt or slow these signals, causing stool to build up and harden in the intestinal tract. The prolonged use of opioids can not only increase an individual’s risk for addiction, but can also cause negative effects on the body. In some circumstances however, the use of opioid-containing medications is necessary. The use of Suboxone in the treatment of opioid addiction is one good example of this. Suboxone is a medication available only by prescription that contains both naloxone and buprenorphine. Buprenorphine is considered to be a partial opioid-agonist, meaning that is will activate some of the opioid receptors in the brain without creating the full opioid effect. Buprenorphine can help patients cope with symptoms of withdrawal. Naloxone is considered an opioid antagonist, and actually reverses the effects of opioids and other narcotics in the body which can prevent an overdose. Being aware of the effects that suboxone use can have on the body can help prevent further issues before they arise. Suboxone use can carry the risk of addiction, constipation, mental health changes and more, but it can also be used to help treat opioid addiction. It is important to become familiar with these changes and talk to a professional if you feel they are abnormal. If you or someone you love is struggling with addiction to prescription pain relievers or other opioid drugs, you are not alone. We can help you begin your recovery with a call to one of our addiction treatment specialists. OpioidTreatment.net will help connect you to an inpatient rehab center that can meet the needs that are specific to your unique needs. Contact us today for more information.